Those in the south of the UK will have struggled not to notice the heat this week as the mercury has soared to well over 30°c degrees since the weekend. 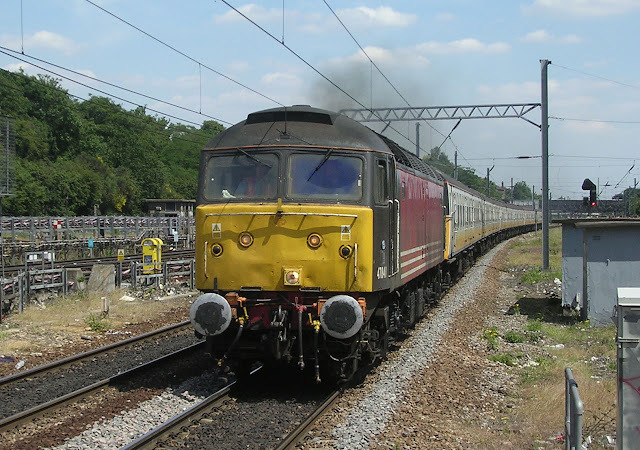 While travelling in these hot conditions it reminded me of a very sucessful day out photographing railways in London some 12 years ago. 22nd June 2005 was another very hot day with temperatures peaking in the low 30's (Gravesend in Kent recorded it's highest temperature of the year the following day at 32.1°c. 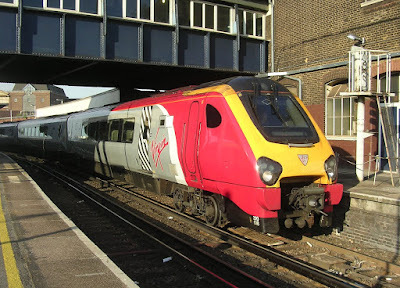 On the railways a lot is still very recognisable from 12 years ago but there have also been a lot of changes. 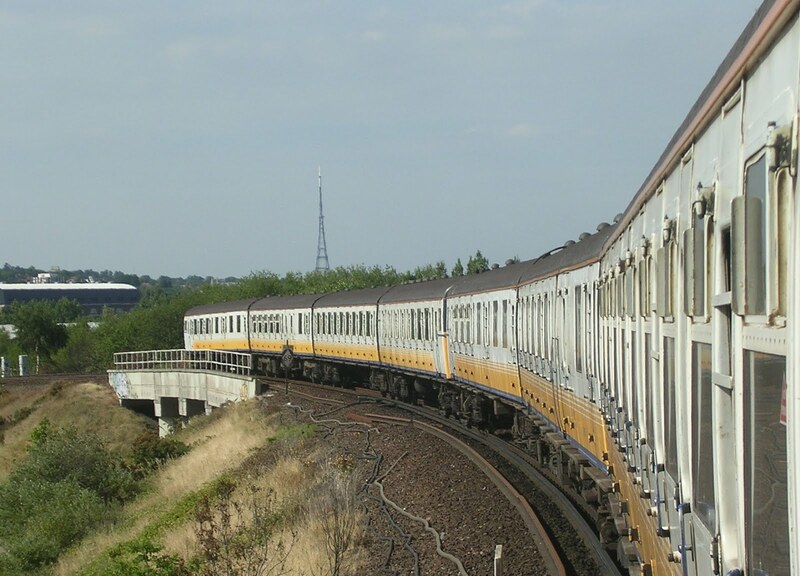 My day started by heading to Barnes in South West London for the very final slam-door scrap move from SWT. 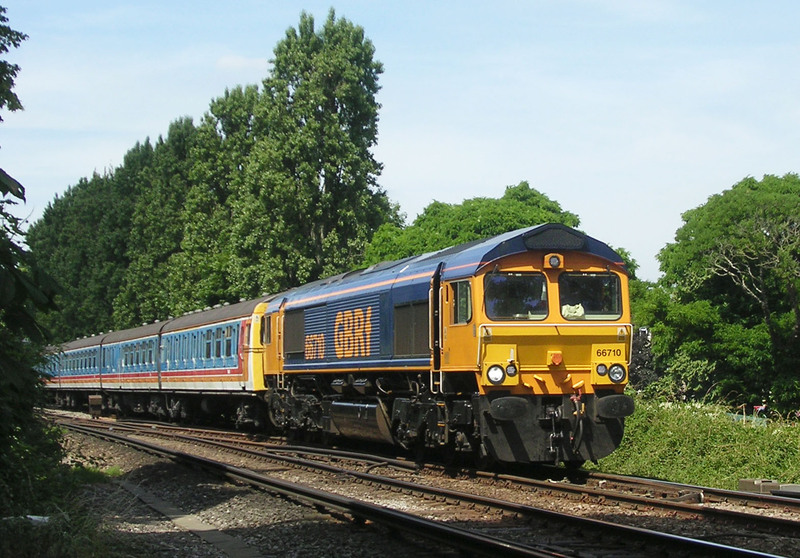 GBRf's 66710 was hauling 4-VEP 3520 from Wimbledon running as 6Z41 the 11:05 to MOD Shoeburyness. The final service train for the SWT slam door fleet having run during May. 66710 haules 3520 towards Barnes. This was the last slam door to leave SWT aside from 'Celebrity' VEP 3417 and the two 3 CIG's which were kept specially for the Lymington branch. Next stop was Ealing Broadway where a variety of traction was on offer on freight services, plus of course the regular passage of Paxman Valenta powered HST's. Brand new were the Heathrow Connec class 360's which entered service just ten days earlier on 12th June between Paddington and Heathrow Airport supplementing the class 332's on 'express' services. 67029 sports it's then fairly freshly applied silver livery. Freight was plentiful with the majority being in the hands of class 59's of various liveries. 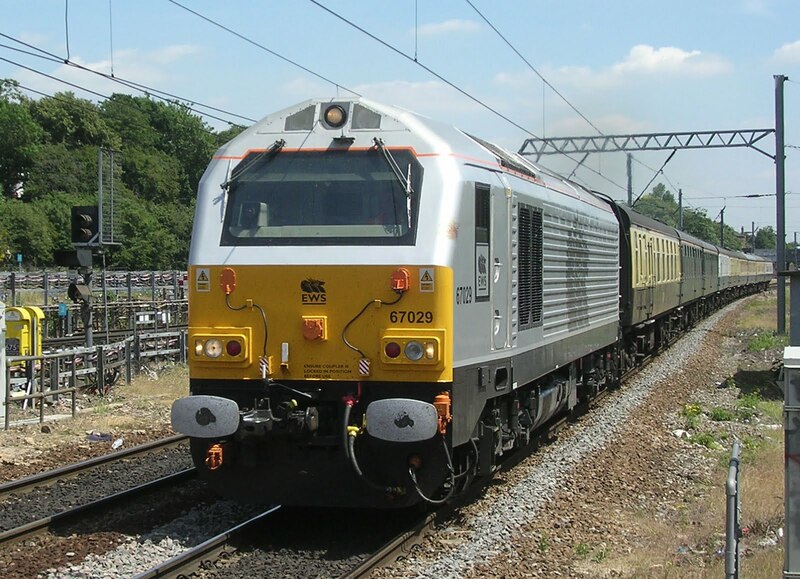 Aside from the flow of 59's class 60's were common with 60015, 60026 and 60061 being sighted within a few hours between Ealing Broadway and Acton Main Line. 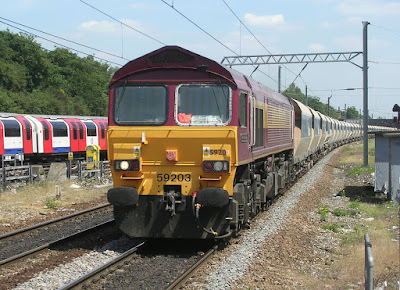 Other freight was handled by class 66's from Freighliner and EWS with a solitary wagon being hauled by a rather over-powered 67016. There were a couple of special workings which we had particularly come to see; 67029 in it's new silver livery and another slam door move with Freighliner's 47841 hauling South Central 4-CIG's 1867/8/9 as 5Z45 Stewarts Lane - Caerwent in South Wales. Another of the almost endless slam door scrap trains- 47841 hauls CIG's 1867, 1868 and 1869 through Ealing Broadway. 220018 on a Brighton service at Clapham Junction. Moving on from the Great Western it was time to end the evening the way that most of my trips ended around this time- with a few rides on what still remained of the 'slammers' on Southern and South Eastern. Workings were beginning to become more scarce but it was still not difficult to achieve an all slam door move first from Victoria to East Croydon and back before taking the 17:49 Victoria to Broadstairs (which was booked for the last 12-CEP at the time) to Bromley South for another slammer back into Victoria. A final 'blast from the past' on the way home is a Virgin Voyager at Clapham Junciton on one of the now withdrawn workings to Brighton. Thus ended a hot and sticky day sweltering in the sun- I'd do it again for those trains though! The joys of fresh air and slam doors during their last summer.